The shelves next to my desk are loaded with new books awaiting review on MommyMaestra. Every time I think I'm finally shrinking the pile, new books show up in my mailbox. I could probably just post about them every single day of the year and never run out. It thrills me to see so many bilingual and bicultural books that reflect the Latino experience being published! I want to start off this week with a series from the amazing author and illustrator, Lulu Delacre. 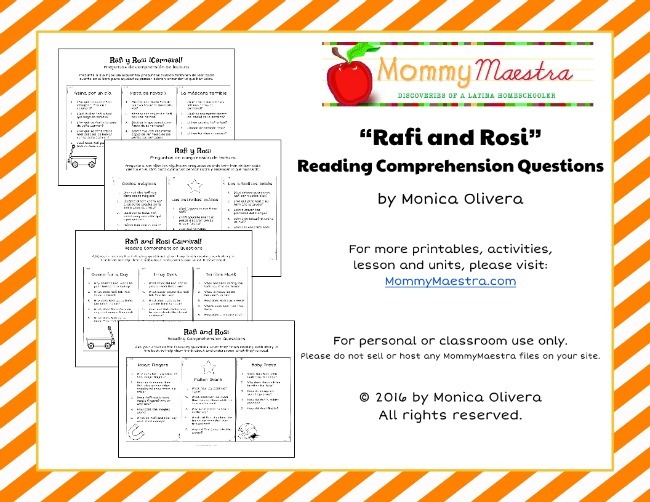 Rafi and Rosi is a new reprint of her series for intermediate readers that features the adventures of a brother and sister. 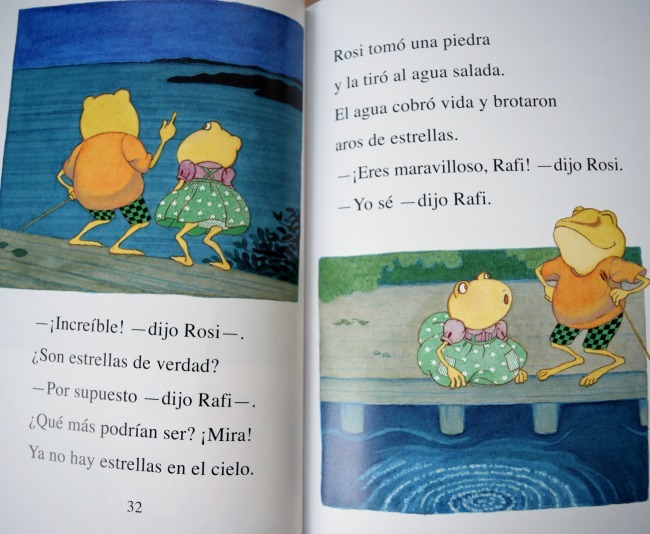 The cutest thing about it is that Rafi and Rosi are coquíes! Do you know about the coquí? It is a tiny frog from Puerto Rico known for its nighttime singing. Everyone in Puerto Rico knows about el coquí. So that's why this series is so fascinating. Because until now, there haven't been any leveled readers created for bilingual speakers here in the States (if I'm mistaken, please let me know!). And the fact that this series focuses on cultural traditions, reflecting the experience and traditions of Puerto Ricans makes it unique. Both books contain three stories. 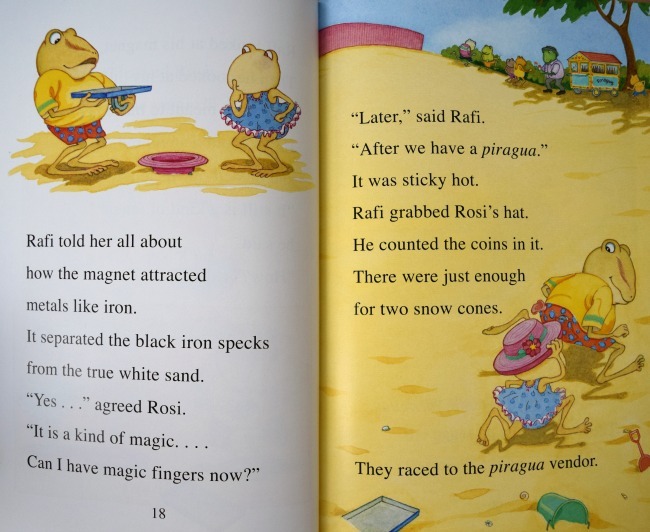 The first book, Rafi and Rosi, introduces you to the brother and sister on their island home. 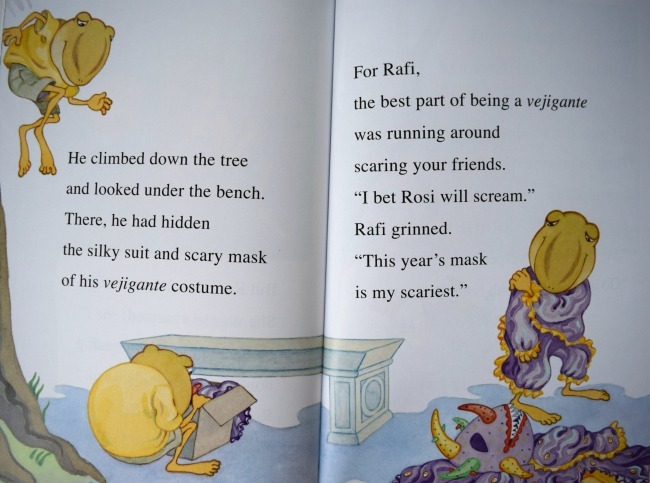 Rafi is the older brother and frequently plays tricks on Rosi, who believes every word her big brother says. 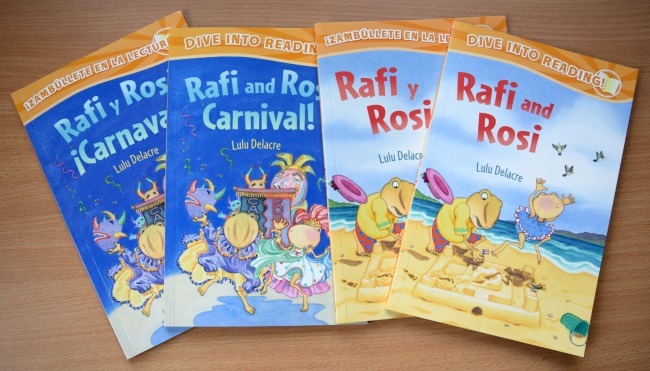 In the second book, Rafi and Rosi Carnival!, the two coquíes celebrate Carnival in Puerto Rico. I love that in this first book, your child isn't just reading stories, but also learning valuable lessons in science and world cultures. For example, in the first book, your child will learn about sand, iron, and magnets. She'll also learn about bioluminescence in the Parguera Bay in Puerto Rico, mangroves, and hermit crabs. 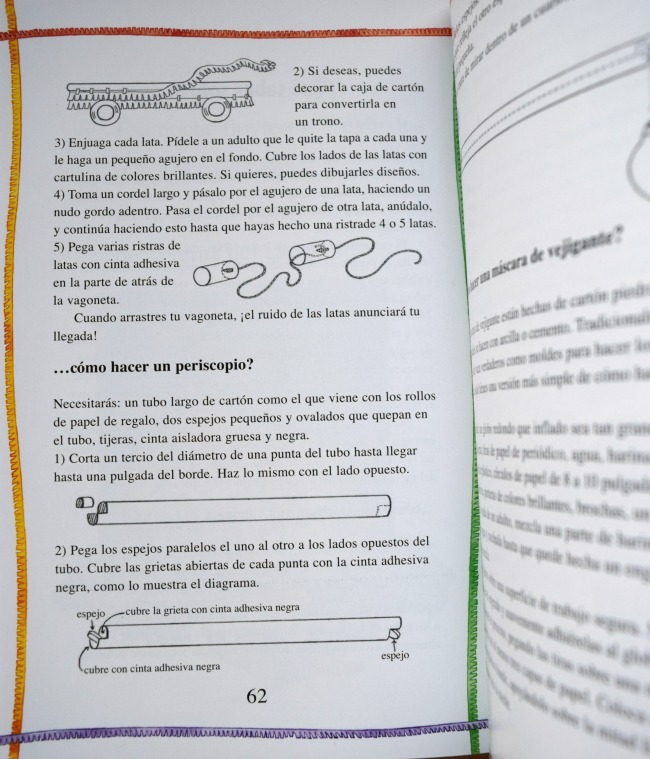 In the second book, your child learns about Carnaval, vejigantes, periscopes, floats, and more. Delacre has even included instructions in the back of the book for making a wagon float, a periscope, and a vejigante mask! 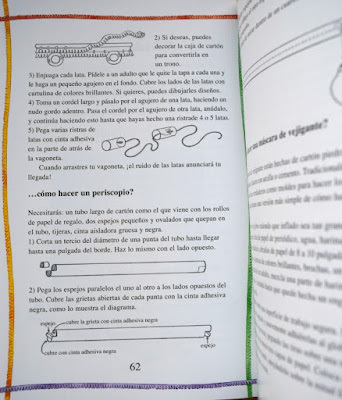 Of course, you'll be delighted to learn that the books are available in English or Spanish, so you can choose the one that best suits your child's needs. These books are a must-have for bilingual homeschoolers, dual language classrooms, and school libraries. And to extend the learning, I've created a free download with some easy comprehension questions for you to ask your child/student after they have finished reading each story. Yes, they are in English and Spanish so you can choose which one best suits your needs.